The author and a lot of snow! 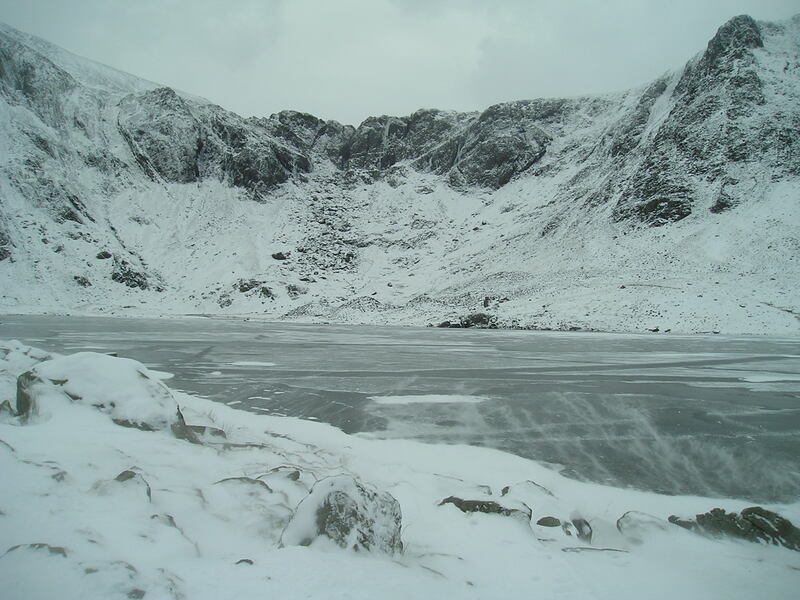 Friday 3rd December – The idea was to walk the east part of the Nantlle Ridge in Snowdonia. The last time I did this the mist was down for the first and most interesting part of the walk, so I didn’t really see much of it. There are a couple of scrambling sections in summer that would be quite interesting in winter conditions, so a repeat visit with a covering of snow and a good weather forecast seemed like a good idea. It’s also one of the routes I have planned for the Snowdonia project for Discovery Walking Guides. In fact I already have a GPS track log for it, but it’s a composite of two days, and therefore not as straightforward to work with. Walking the route again would give me a chance to record a new, uncomplicated track log. Anyway, the Rolling Stones were right, “You can’t always get what you want”. An early start in temperatures down to –10C, and a crawl round Manchester on the M60 was followed by much better driving in Wales, but as the temperature started to rise the mist began to fall. T’was ever so. 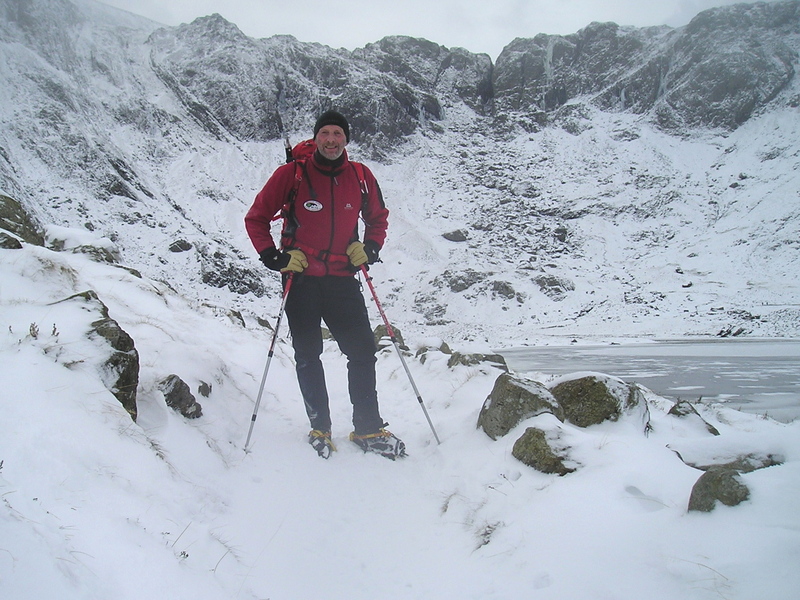 With the tops covered over the Nantlle Ridge, there wasn’t much point in slogging all the way up through loose powder snow when I really needed (wanted) to be able to see the route. No point either in coming back with another sub-standard track log, and no chance of decent winter photos. So, I had a drive round to Ogwen, and had a wander round Cwm Idwal. The cloud base was higher, but dithering about over at Nantlle had left it a bit late to do anything more worthwhile. As it was, the scenery was great, if you are into winter monochrome! The cliffs of the Devil’s Kitchen (Twll Du) were especially dramatic, with a very spectacular icefall in evidence. I didn’t get the route I had planned, but it was an interesting excursion, and a good shake-down for the winter gear – yes, it’s back to carrying the big rucksack again! 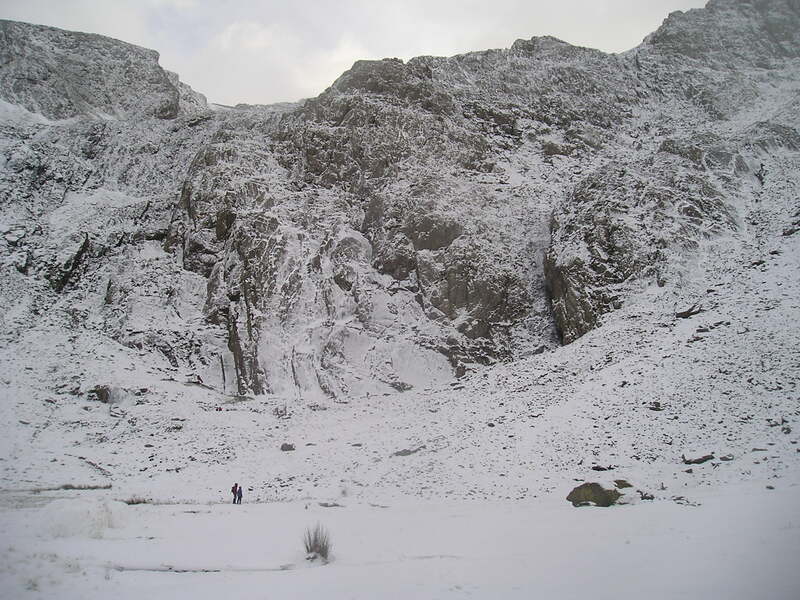 Snow as early as this bodes well for another trip to Nantlle this winter, so perhaps all comes to he who waits. Or, as the Rolling Stones might have put it, “Time is on my side”. This entry was posted in 5. North Wales and tagged Cwm Idwal, hillwalking, mountains, snow, Snowdonia, winter. Bookmark the permalink.